Serving chilled food on a hot tray isn’t the best way to keep the party going. Unless of course, it’s an eat-as-fast-as-you-can party. But for the rest of us, when it’s time to slow down and chill with some chilled food the Cool Tray can come in handy. 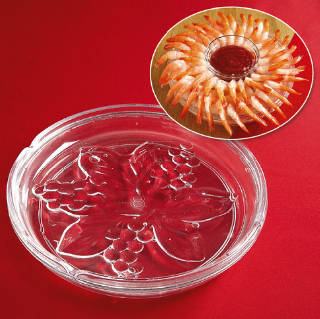 The serving platter comes with an inner compartment meant to be filled with water. Pop it in the freezer and keep the snacks and spread cool without diluting the fun.